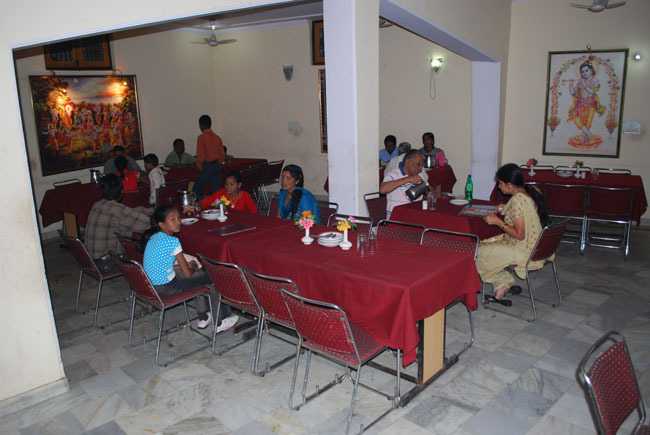 Muskan Guest-House is situated in the heart of the City of Lord Krishna Mathura. It is a best place to stay in this holy city with spacious banquet hall, restaurants and refined travel service, all buzz with activity throughout. It is a very comfortable, peaceful and homely place where you find quality and service exellence. Laundry Facilities, Currency Exchange, Breakfast Services, Airport Transportation, Express Check-In/Check-Out, Doctor on Call, Parking, Backup Generator, Security Guard, Travel Counter. House Keeping, Wakeup Calls, H/C Water, Safe Deposit Locker Facility, Television Room, Air Conditioning Room, Cable/Satellite TV, Bottled Water in Room, DVD Player, Toothbrush/Razor on Request. User reviews for "Muskan Hotel Mathura"